Woodcut, black and white. 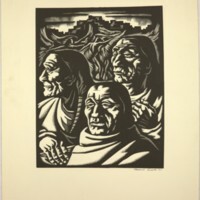 Untitled, shows three American Indians. Signed and dated by artist. 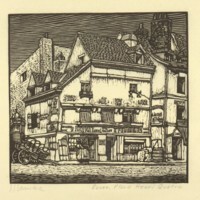 Original woodcut print titled "Rouen, Place Henri Quatre". The piece depicts a small town store with a cart leading against it. 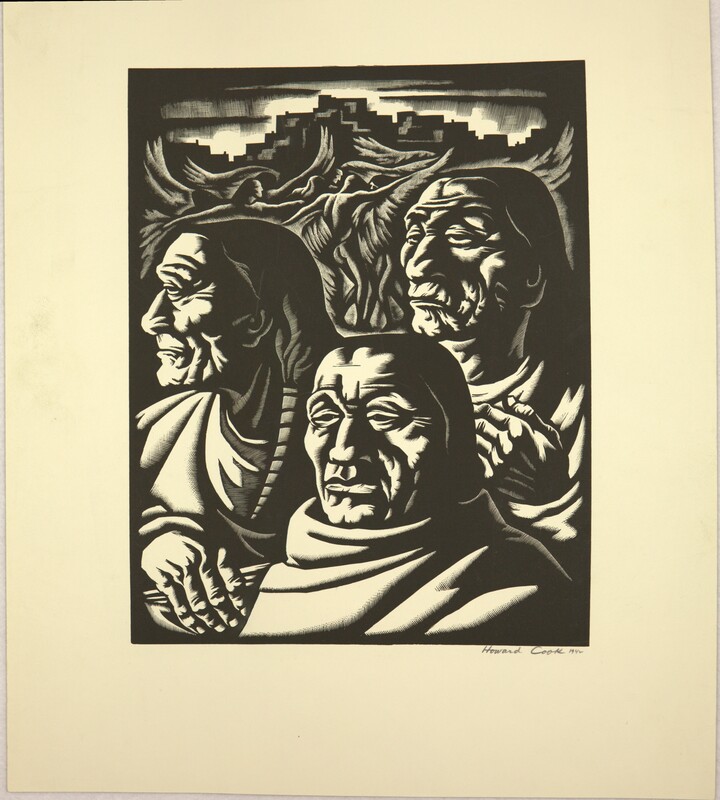 Cook, Howard Norton, “Untitled (Woodcut of Three American Indians),” Digital Exhibits, accessed April 19, 2019, https://cuexhibits.wrlc.org/items/show/117.